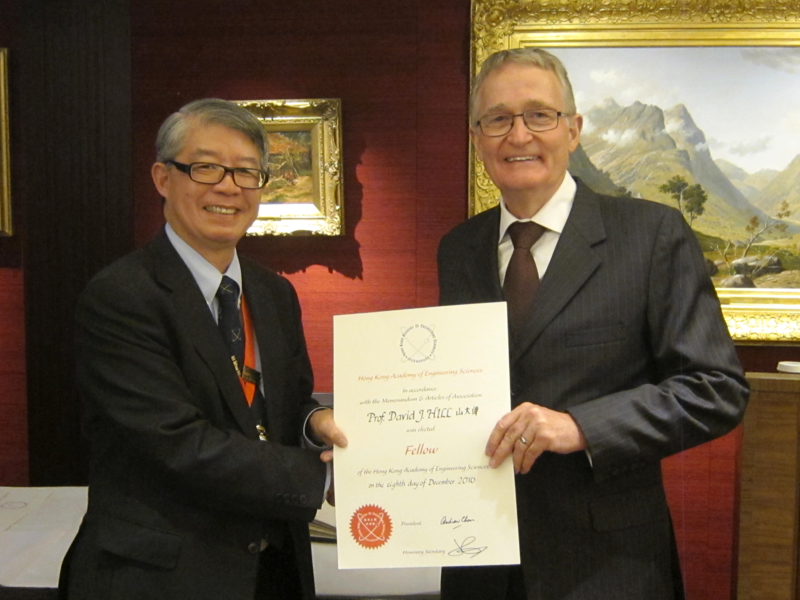 Prof. D. Hill has selected as one of the New Fellows of the Hong Kong Academy of Engineering Sciences (HKAES) for 2016. The welcome dinner for New Fellows was held in the Hong Kong Club on 16th January 2017. Prof. Hill is also a member of The Australian Academy of Science and the Australian Academy of Technological Sciences and Engineering and a Foreign Member of the Royal Swedish Academy of Engineering Sciences. More dinner photo can be viewed here.